I was worried about Preacher at first. Even with no knowledge of the source material (something I’m rectifying due to the show), I didn’t trust Evan Goldberg and Seth Rogen to handle the nuances of a bloody tale of with heavy religious themes. But halfway into the first season, I was hooked. Season 2 is poised to be an improvement in pretty much every sense. 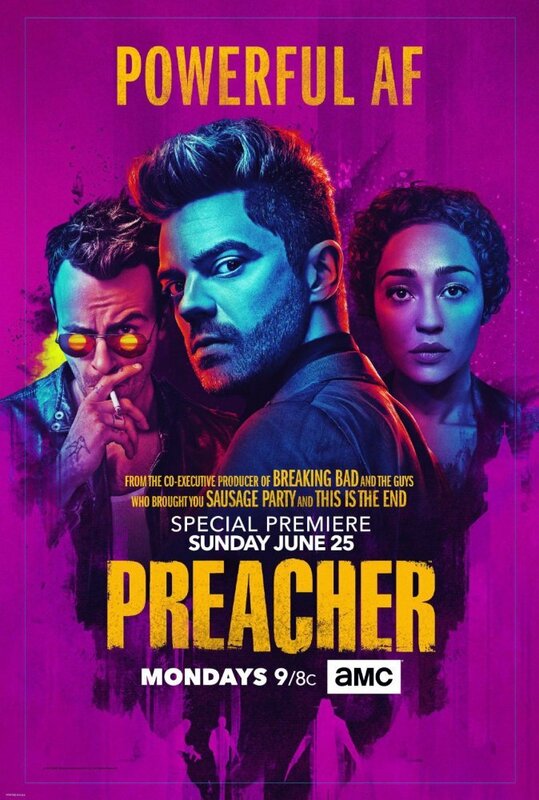 At this point, the trio of Jesse Custer (a Preacher who now has the supernatural gift of command), Tulip (Jesse’s on-again off-again lover who has been gaining some agency of her own in season 2), and Cassidy (a vampire with questionable morals) have been established. We don’t really need many expositional scenes featuring their sordid past as we have a clear picture of who they are and where they’re headed, a natural progression given that the first season was more of a prologue. Now, we move on to the meat. The key ingredient to Preacher‘s secret sauce is that our time isn’t wasted. Even when doing something as innocuous as searching for God in New Orleans jazz bars (well, innocuous in so much as this world will allow it), we have multiple threats looming and several plot threads closing up around us. The showrunners have also been coming up with clever ways to combat Jesse’s all-powerful voice—his very own superpower. Solidifying Jesse as a formidable hand-to-hand fighter allows us to see him do more than just deus ex machina his way out of sticky situations, and adds depth to his character. While he can manipulate the mind of the average goon or state trooper, there are several characters that circumvent his gift or are straight-up immune to it. It might not sound like much, having this concession baked in, but it allows us to be surprised every so often and keeps us guessing. Even scenes without Jesse have a penchant to delve into the realm of the absurd. Seeing a sensitive, reformed Hitler in hell being bullied by a rich white kid? Priceless. Nearly every plot—even the “B” ones—begs for more screentime, and provides just enough mystery and intrigue to keep going. As silly as some of these ideas are, the humour doesn’t veer into juvenile or lazy territory, and Cassidy especially is on the level as a perfect balance of comic relief and drama. We’re also seeing some great set work, far greater than the overdone rural homes and deserts of the first season. New Orleans is as hypnotic as always, but the set design for the Indian Casino and Hell itself make those scenes so much more interesting. At this point, I’m all-in with pretty much every cast member (the jury is still out on Graham McTavish’s Saint of Killers). 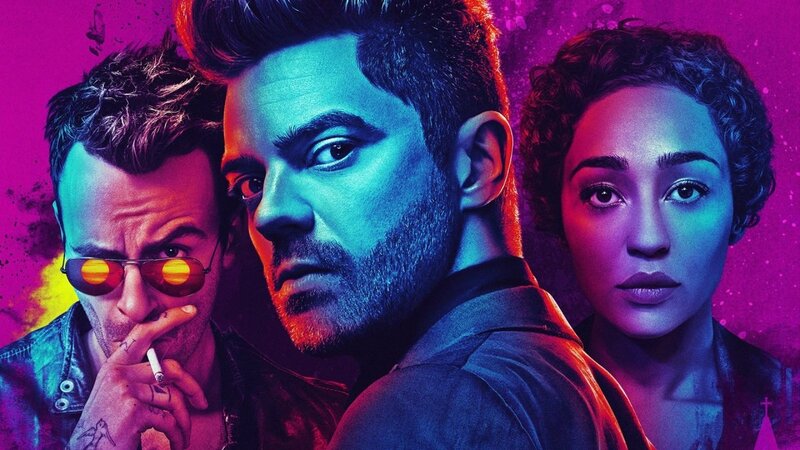 Dominic Cooper is entrancing, and his chemistry with Ruth Negga and Joseph Gilgun has developed over the past year to a more believable level. I especially like what Negga is doing with the character in season 2, and most of that comes with restraint. While her scenes could have easily been over-the-top, she has a quiet dejectedness to her; she is also capable of slinging out one-liners with the best of them. 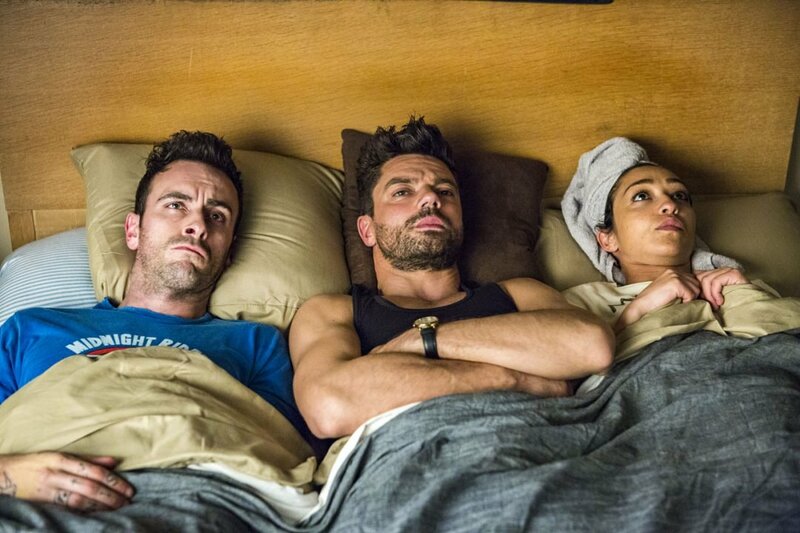 As for what’s next for Preacher in season 2? While I’m more than invested and watch week-to-week, I’m a little worried that they’ll drag out the principle plotline of “where is God?” longer than they need to. 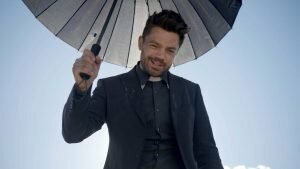 Preacher isn’t exactly ratings gold (one of the only on-air shows that’s worse is Halt and Catch Fire, which was renewed through a miracle for its last season), and I’m worried that we could be looking at a cancellation before major threads have been resolved. 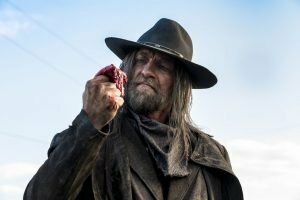 In the meantime, I’m anxious to see what happens to Eugene and Hitler in Hell and if the Saint of Killers is going to get a little more fleshed out than what we have so far. Cassidy has also taken more of a backseat with the exception of one incredible episode (Mumbai Sky Tower) and I’d like to see more of him. But I do appreciate that we don’t have a major focus on any one character outside of the obvious choice of having Jesse facilitate the narrative. It’ll be exciting to see where they take it and how much of the source material will end up making it in, but for now, I’m enjoying the journey. fter the initial salvo of Season 2, we've reached the point where I'm hooked week to week.